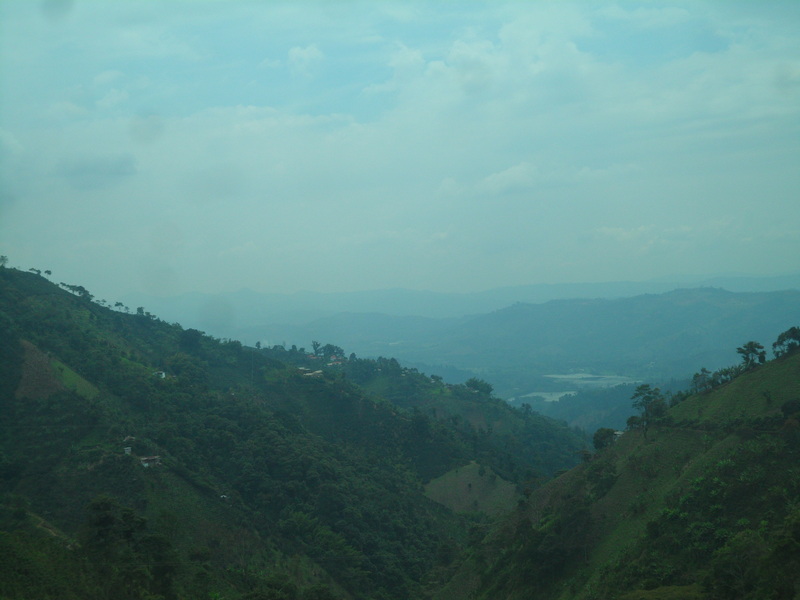 The 5 hour bus ride from Medellin to Manizales, although treacherously windy, is absolutely breathtaking! Colombia has by far the most beautiful landscape that I’ve seen in South America yet. Huge mountains and deep valleys of luscious green foliage make for an unreal road trip trough the countryside. Low hanging misty clouds filled some of the valleys, which made the mountains look as if they were floating in the sky when you looked over the cliff edge. The roads wind from mountain peak to mountain peak and back and forth along the steep summits. It makes for wonderful sights and stomach lurching rides. The bus drivers drive like they are formula one racecar drivers. They pass semis, bikes and cars at alarming speeds around blind corners and have no problem throwing bags and passengers in all directions in the back. I spent a lot of time looking out the front window trying not to get carsick. The only thing I could do was throw in my headphones and stare out at my impending doom: putting all my faith in our driver and crossing my fingers every time we rounded a bend. The city of Manizales was a lot larger than I had expected. It is right in the heart of the coffee triangle of Colombia and sprawls across the side of a mountain for kilometers. Just to get to the centro from the bus station, we took a long gondola ride up over the city to the top of the massive hill. The view of the city is wonderful from such a height, and although the city itself isn’t beautiful to look at, the valley that it nestles into is a wonderful backdrop. We weren’t sure what Manizales really had to offer, so we decided to walk lengthwise along the top of the mountain from our hostel to the city center and back (a good 2 hour walk). Just as our guidebook had suggested, there wasn’t much to see. No beautiful plazas or ornate churches, very few lookout points, and overall just another city in my eyes. So we decided instead to go on a coffee crawl from one cafe to the next to find the best coffee in the area. Why not when you’re in one of the greatest coffee regions in the world! 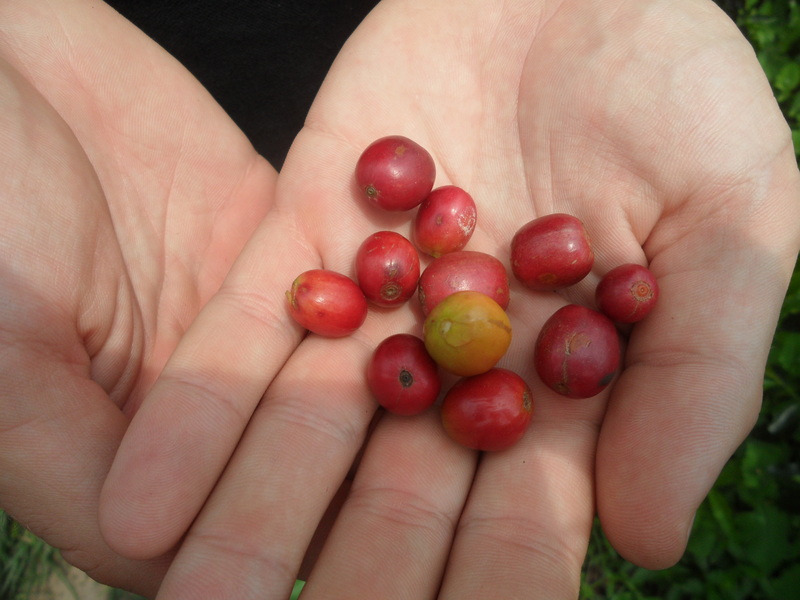 Colombia has just recently begun to serve high quality coffees within its country. 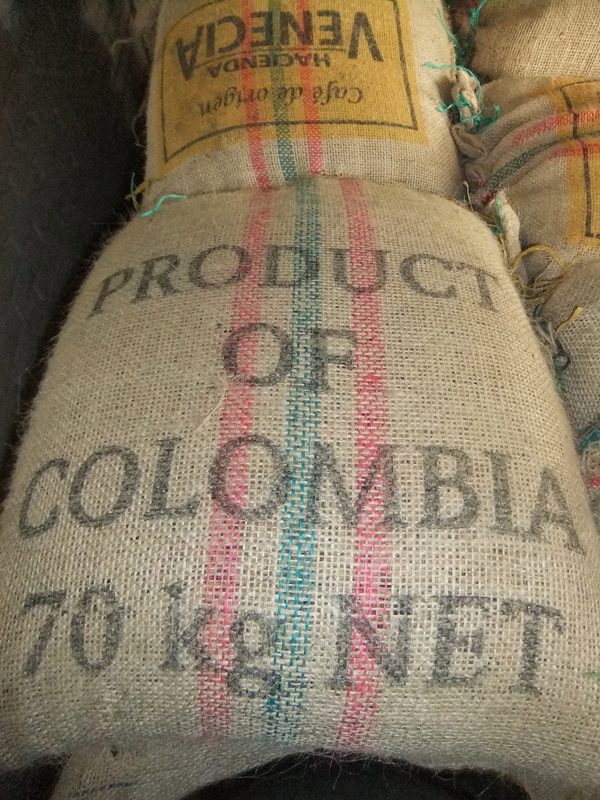 Historically, Colombia would export close to 80% of its good coffee and keep the lower grade beans for itself. 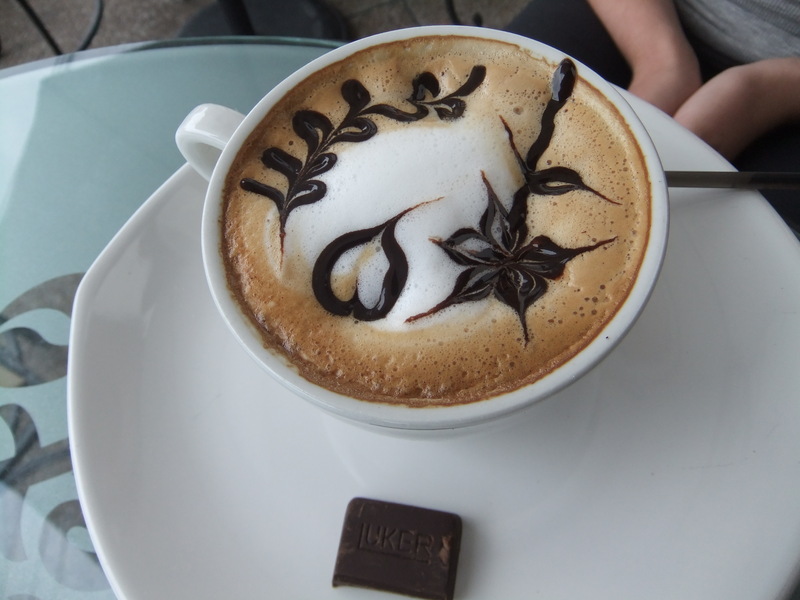 Luckily for us, however, many of the coffee shops in Manizales now offer delicious coffees for a reasonable price! We especially found this in our second cafe, where the servers were obvious connoisseurs of coffee themselves and described all the flavors and aromas to us before letting us smell the beans, then drink the coffee. The coffee was served with a small piece of dark chocolate, which was supposed to be eaten before each sip to bring out the best of the flavors. It was delicious! Definitely the best of our afternoon’s coffee crawl! By the end of the afternoon I was buzzing with caffeine jitters. I am definitely not as skilled at coffee drinking as Adam, who had even more coffee than I did during the day and felt fine. But it was a great way to explore the city and an awesome introduction to the region. 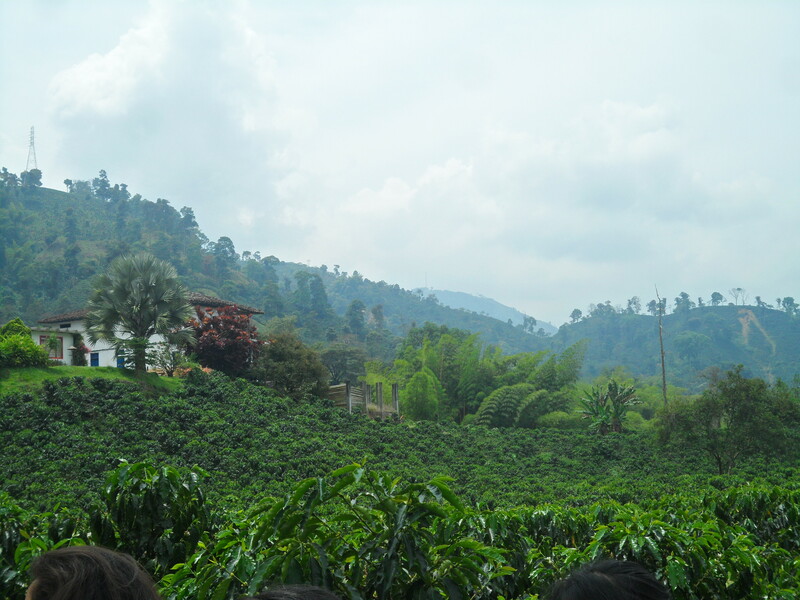 The next morning, we set out early to a tour of a coffee plantation! 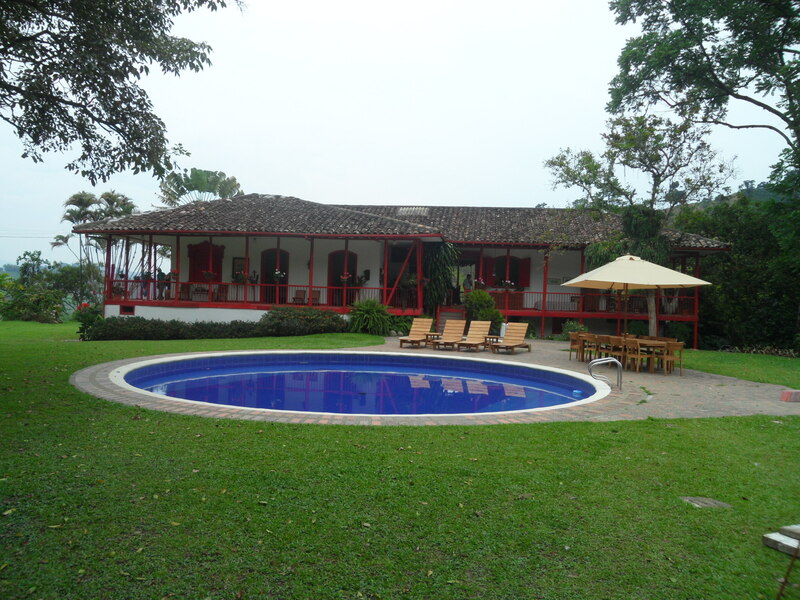 Just 20 minutes outside of Manizales, and down a long windy dirt road, we arrived at the plantation. Immediately, we were given small cups of strong espresso coffee. The plantation kept reminding us to “drink as much coffee as possible” while on the tour, and the beverage was readily available at any given time. Our guide started out by explaining the history of coffee and the logistics of coffee plantations in Colombia. Colombia differs from many regions that make coffee because of its close proximity to the equator and mountain range. The cloud system that moves up and down the Andes, actually gives Colombia two full rainy seasons (unlike most places in the world) and so, the area can produce twice as much coffee in one year than most places. The downside to this, however, is that the beans on the plant all grow at different times. Some beans are ripe in May, while others on the same plant are ripe two weeks, or two months later. This, combined with the steep mountain terrain that the coffee region exists on, means that all the coffee beans have to be picked by hand by many laborers. Every 2 weeks the coffee pickers will go out into the field to pick the beans; this is an extraordinary 20+ times a year that the beans are harvested. 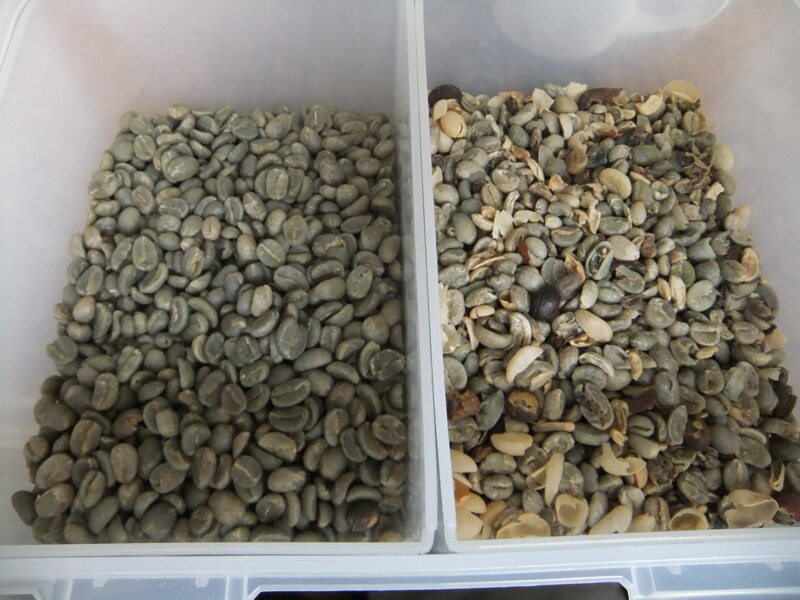 The beans then go through a large drying process; they are shucked from their original shells, searched through by hand for the perfect bean selection, and eventually packed into large sacks and shipped out of the country. The roasting process of the beans fascinated me. The temperature of the beans has to be so exact, just like the heat of the water and how long you should pour each espresso. The equation is so precise, it is amazing that the batches can come out tasting the same time and time again! We had a wonderful half-day tour of the plantation, walking through the fields, picking our own beans to roast, and seeing first hand each step of the coffee making process. One of the cooler things I’ve done on the trip, the coffee plantation made me appreciate the great tasting coffees we so often take for granted in Canada. Once the tour was over, we sat down to an amazing Colombian soup dish of potatoes, vegetables, capers, avocado and chicken. It was delicious, although I can’t remember what the name of it was for the life of me. Then we made the trek back to the hostel and finally off to Cali! This entry was posted in Colombia, South America and tagged Coffee Plantation, Coffee Region, Colombia, Manizales, South America, Travel by hilarylust. Bookmark the permalink.